CCTV Camera Pros received the following questions from a customer interested in a hidden spy camera system that is Mac compatible. We are interested in the PIR-IR60 hidden spy camera with invisible infrared night vision. Can you please answer the below questions? What is the Video and Audio recorded onto? You need to connect this camera to a DVR. We highly recommend our new iDVR-PRO HD surveillance DVRs. You can connect the hidden cameras to the DVR using these pre-made cables. They will run the video, audio, and power from the camera back to the DVR. What is the maximum storage for the camera? The camera does not have storage. It must be connected to a CCTV DVR. The iDVR-PRO that we recommend comes with a 500GB hard drive which can record up to 30 days of video from one camera. You can increase the disk size if needed. 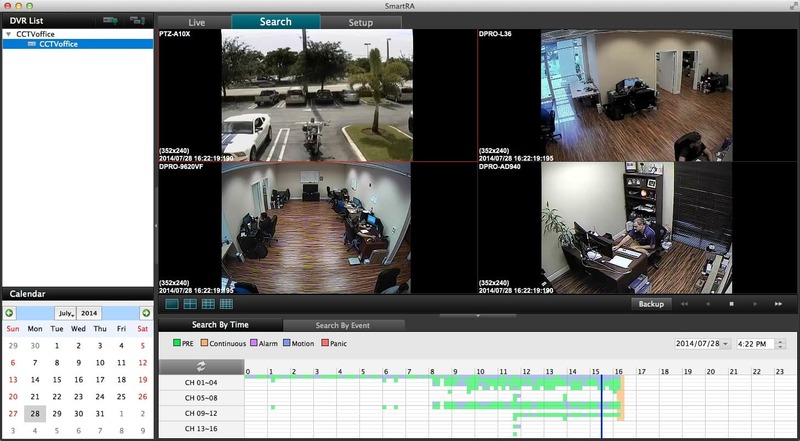 Can surveillance video be played on a Macintosh PC? Yes, the DVR includes Mac software which lets you connect to the DVR to view your security cameras live and also play back recorded video. Please see the below image to see video being played back using the Mac software. You can watch a demo video and learn more about the remote security camera software for Mac here. I see that the PIR-IR60 can record Audio. How does it do that? Through the Camera? There is a built-in surveillance mic. Audio is also recorded to the DVR hard drive. You can learn more about audio surveillance recording on the DVR here. Built-in batteries? If so, how long do they last? 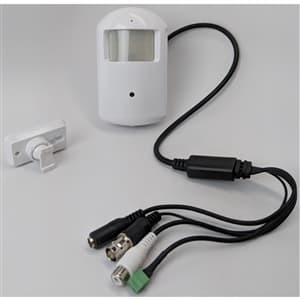 The camera is powered using a 12V DC power supply that is included. You can use the per-made security camera cables that I sent a link to to run the video, audio, and power back to the DVR. I am looking for this type of Camera. Once that can record in the dark if necessary, record Color during the Day and must record Audio that is clear. The Camera will be no more than 10 to 12 feet away from what it is recording. Maybe even closer. That camera will work great in that environment. Here is a link back to the camera. You can find additional hidden security cameras and systems here. This topic was modified 1 month ago by Mike Haldas.